As many of you know, taking care of the environment is something very near and dear to my heart. I go out of my way to find green products for my family that are made from natural ingredients, or made in such a way that they leave as small of a carbon footprint as possible. When it comes to clothes we are no different. One of the worst offenders are garment retailers, with operations overseas. While this may bring down costs, it also creates an extremely large carbon footprint for each product (container ships have to run on something! ), never mind the damage to the environment from dyes and machinery used in the manufacturing process. Luckily, our go-to t-shirt manufacturer not only has fun designs, they are one of the greenest garment companies in the industry – The Mountain®. For those who haven’t heard of the Mountain, you have probably heard of some of their designs. They make some of the most iconic t-shirts, also creating licensed shirts and own some of the most famous shirt designs out there of animals, including Three Wolf Moon®. 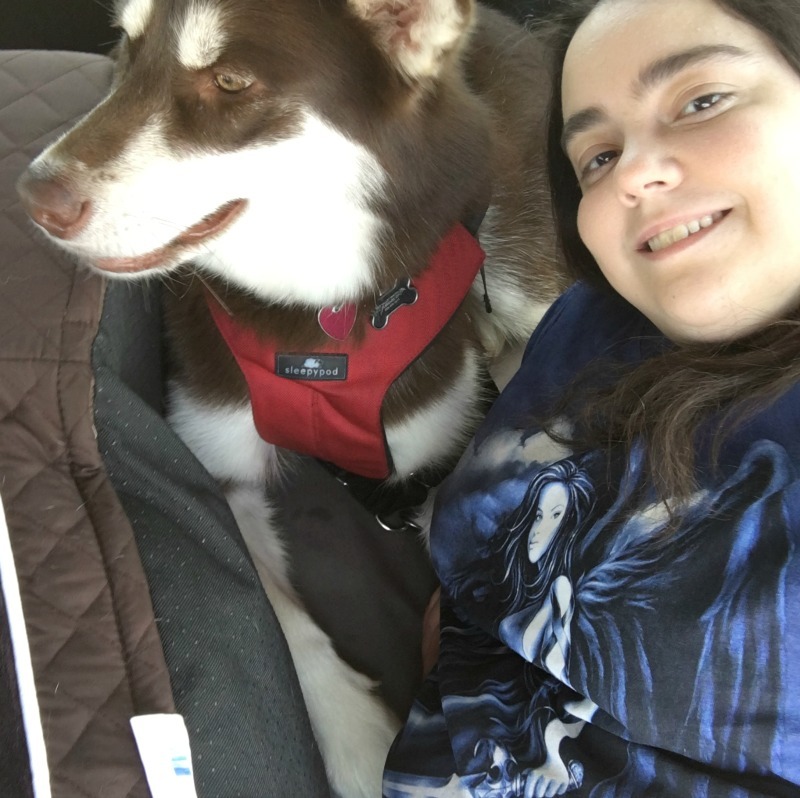 As you may also remember, they helped Ivi and me attend BlogPaws Phoenix last month, where I was happy to show off some of their fantasy and animal themed t-shirts during the conference. My favorites were my shirts from the Dean Russo Rescue Collection, which are really special since a portion of each sale goes to the Best Friends Animal Society in Utah. I mean, who wouldn’t fall in love with a company that strives to make their products as environmentally friendly as possible and help animals? Part of what makes The Mountain so unique is their Dye Oxidation System, which purifies the manufacturing process by removing coloring and additives without the addition of chemicals. It also works harmoniously with micro—organisms that are used by their local city water treatment facility. Along with this innovative process, they use only environmentally friendly water-based, organic reactive dyes and inks, which offer them a library of over 800 colors. As well, every product made by The Mountain is 100% Oekotex certified. This means that every one of their products is free of chemicals that can harm the body. As this is the highest qualification of its kind in the world, it is a pretty big deal worldwide! One of the other things very important to The Mountain is their desire to have as small of a carbon footprint as possible, while still taking care of their workers. They feel that Fair Trade starts at home, meaning they pay their workers fair wages and buy American supplies as much as possible. As a matter of fact, 80 % of the cotton they use is grown here in the United States, which is a pretty big deal when all their shirts are 100% cotton. With their shirts being created, developed, dyed, and printed in Marlborough, NH, and shipped from Keene, NH, this means that they have a very low start-to-finish carbon footprint for shirts sold in the US, which is pretty amazing when you realize they do this while keeping jobs in the United States, offering fantastic customer service, and their very reasonable prices. 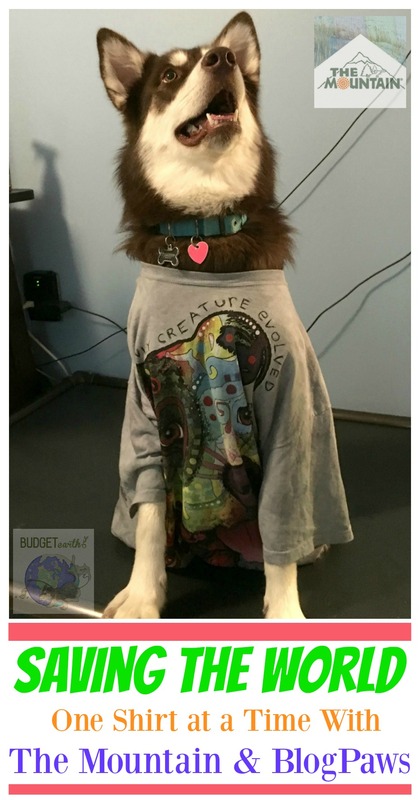 It isn’t surprising that BlogPaws considered them the best for making their official t-shirts during the conference! We highly recommend taking a look at The Mountain and seeing their great selection of shirts! Before I forget, if you are considering starting a pet blog, I highly recommend going to BlogPaws 2017 in Myrtle Beach. Early bird pricing is still available and it is one of the few conferences that is great for bloggers of all ages, including beginners! To get an idea of what happens at BlogPaws, making sure to take a look at the BlogPaws 2016 schedule. Just know, that I have heard on good authority that 2017 there will be a lot of changes for the better, including more topics covered, more hands on learning, and more higher level learning while still providing the basics for those who need or want it. In other words, BlogPaws 2017 is going to be bigger and better than ever! So are you going to be attending BlogPaws 2017? Do you have any shirts from The Mountain or love eco-friendly, American made brands? Feel free to tell us your thoughts below! What a sweetie! I really appreciate they use organic dyes! This is all new to me, so I’m glad to find out about BlogPaws and The Mountain. It sounds like a really good company. I had not heard of them before. Your pup has the most beautiful eyes. And can really rock that t-shirt. Blog Paws and the Mountain are both new to me, but sound like worthwhile products. I really love the shirts from the Mountain. I never heard of them. I won’t wear printed clothing. I prefer a basic, solid colored t-shirt. I have no idea why anyone would make clothing for animals. This would be a great gift for the dog lover in your life! I like their black pug shirt. It’s nice to know they run a good company. And they have a large selection. It sounds like a really good company. I don’t have any shirts from The Mountain but I have heard of them before. Nice that a portion of the proceeds go to a charitable organization. At one point, I use to wear a t-shirt every day… though I might have a collared shirt above for dress-up purposes. I actually never heard of this so for that I shall share it with others… I often wear printed clothing; a good example is that of my D.A.R.E. shirt that I got as a child! It’s in my best of interest to wear a basic, solid colored t-shirt that matches the shirt I wear above (collared-shirt). That brings out beauty of such an animal… I can only say that scores points because it’s a T.D. (T-Shirt Dog) and I love football! Great products that are green friendly. I do not own any of these shirts but they are very nice. I also want to mention what a cutie pie the dog is. This company is new to me.I love their shirts and they sound like a great company. Sounds like a good place to check out. Love the shirt. My Boxer would look handsome in it. I’ve never heard of The Mountain before but I’m just starting to find more “natural” clothing. This is great, I really love that there’s no added chemicals and made in the US! I had never heard of them but thanks for educating me. I’d love to support a cause like this. I’m glad to find out about The Mountain because I love eco-friendly brands. Aww! What a cutie! Heading over to check them out now! Looks like a good company. I love that they strive to have as small of a carbon footprint as possible. 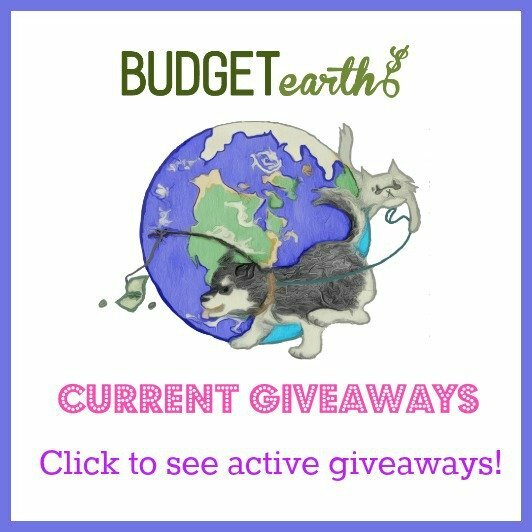 Had not heard of Blog Paws before now. Great company. Thanks for turning me on to them. The Mountain sounds like a wonderful company. I would love to shop their products. I had not heard of them before. Thanks for the post. I am for anything that supports animals. I also love that the company, The Mountain pays their people living wages and use cotton grown in the US. I love the t-shirt. I am also glad that they make eco friendly products. Is really sounds like a good company. Cloth dying is one of the worst environmental pollutants.. This company sounds like a wonderfully eco-friendly one and thank you for making me aware of them.. I had until now never heard of them.. As a side note you have the most gorgeous dog! I love hearing that The Mountain supports protecting the environment and keeping their jobs in the U.S. rather than sending overseas. They sound like a terrific company and I’d be happy to do business with them! Would love to support this. I am a big supported of the green movement. I love the beautiful designs. Sorry have never heard about this before. But have to say your beautiful dog makes a great model. never been to this site before.. thanks for turning me on to them..love animals. It’s neat that most of the cotton used is grown in the United States! Love it! The shirt would look good on my dog Snoop, ruff, ruff! The shirt looks colorful and cute. Nice pics of your doggy. I love Mountain tshirts and own a few! I had no idea they gave a portion of their money to charity! So cool. Neat! I love supporting businesses that give a portion of their proceeds to charity. I think that shirt was made for him. Very cute! That is great and I love the shirt. i am a member of blog paws but i dont have a blog but i love reading the articles. i have wanted to go to blogpaws for a long time but i dont like to leave my 3 gals at home and my oldest cant travel. cute t! A great Company. Love the shirt! Cute dog. I first heard of that company by a web advertisement. I looked on their website and they have nice stuff. I am one of the most frugal humans in America and will wait until I have extra extra spending money.